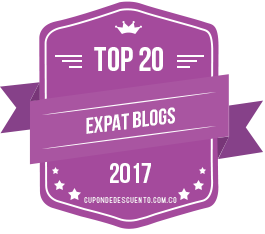 relocation | Barranquilla or Bust! It’s been so long since I’ve written to you, and so much has changed since then, that it’s hard to know where to start. Well, maybe not that hard. 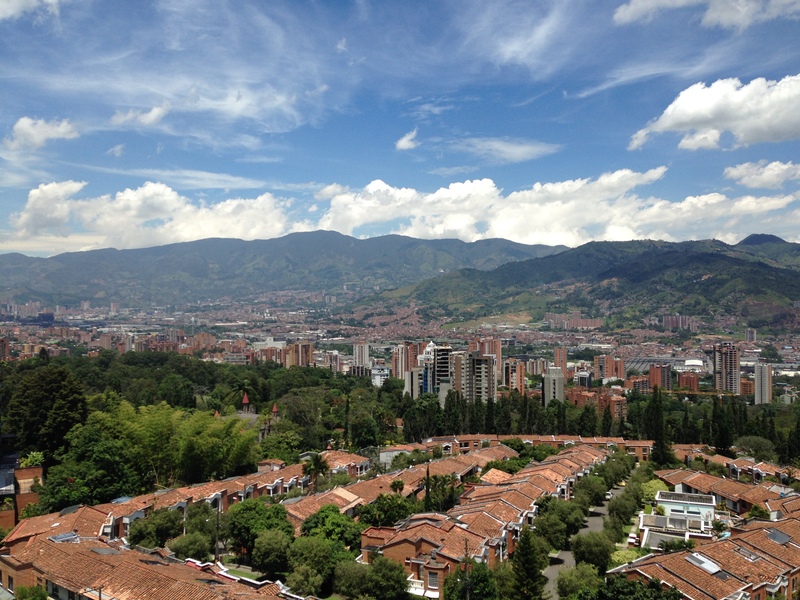 For one, my husband, three year-old son and I moved to Medellín at the very end of July. Public transport here takes many forms. It’s a move we made for various reasons, including potential work opportunities, but mainly because we fell in love with the city. 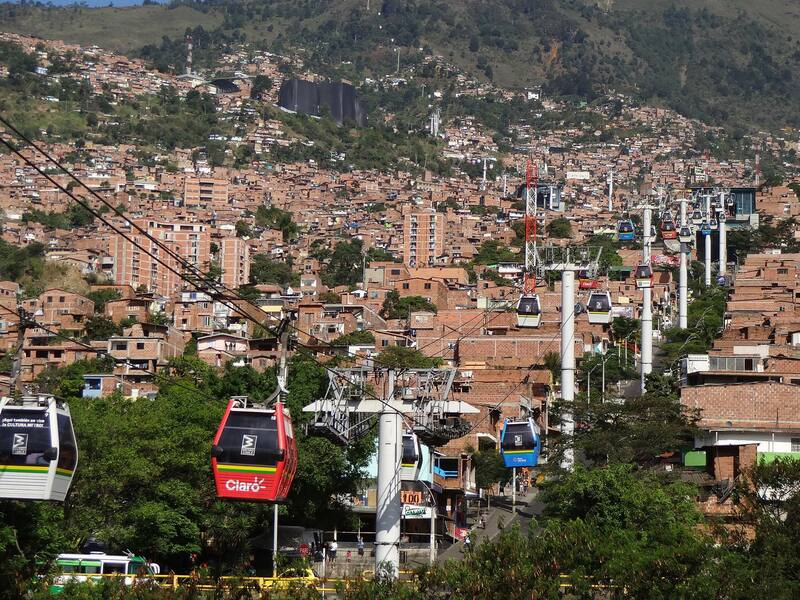 Medellín has turned itself around brilliantly since its darkest days in the 80’s and 90’s, and the city’s innovation and level of community involvement are remarkable – so much so that the UN’s World Urban Forum was held here just a few months back. Medellín’s “eternal spring” climate isn’t too shabby either. We expected this move to be a relatively easy – nothing compared to the stress of making the leap from Miami to Barranquilla – and in some ways it was. Although paisa and costeña cultures are different, they’re not “different country different”. 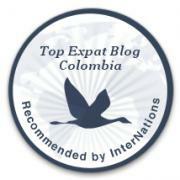 Daily life in Medellín still bears the hallmarks of the Colombian lifestyle we came to love in Barranquilla. While getting approved for an apartment wasn’t exactly easier – more on that in a moment – this time we knew what to expect. But there were circumstances surrounding this move that we didn’t see coming, as I suppose there always are with any major transition. 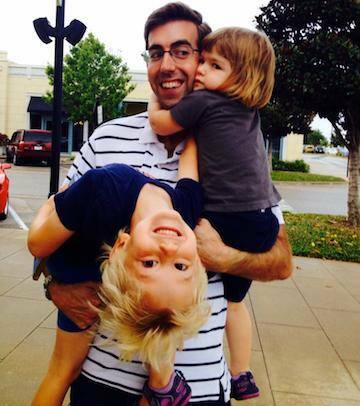 Richard Durrett, cousin, husband, friend, sports reporter, and above all, dad. We didn’t expect the approval process for the apartment we selected to take nearly a month – enough time for the owner to receive offers to buy, which he decided to accept. We didn’t expect my cousin Richard Durrett, only 38 years old, to pass away unexpectedly during one of our short but intense apartment-hunting trips from Barranquilla. (This beautiful interview with his wife Kelly speaks to the heartbreak.) We didn’t expect to find out that I was pregnant in the weeks leading up to the move. We didn’t expect to find out that the pregnancy was ectopic, and for me to have to undergo emergency surgery to remove it, only six days before we had to be out of our apartment and on the plane. We also didn’t expect, given that this move was our choice, to miss our friends and family in Barranquilla quite as much as we do. Friends and family, even if you don’t have time to hang out together all that much, are like money in the bank. It’s a constant reassurance to know they’re there if you need them. And after all that has happened, knowing they’re there is a feeling I miss. Nope, can’t complain about this view! Interestingly, the apartment that we’re in now, which I love, backs right up to the building with the apartment that was sold before we were able to complete the paperwork to rent it. I don’t regret losing that apartment at all; the one we’re in is much better, which brings to mind the Spanish saying, “No hay mal que por bien no venga.” (“There’s nothing bad from which some good doesn’t come.”) But sometimes I sit in the green space at the bottom and look at the other building and think about how much happened between the time we found that apartment and the time we ended up in this one. Only about a month’s time, and yet somehow I see everything differently than I did before. We are looking forward to this new adventure, which brings me to the following question for you: What should this site be called going forward? Those of you who have followed this blog over the long haul know that leaps of faith, along with all the experiences and emotions that come with them, have been a near-constant theme. I’d like to create a website that continues that thread while still allowing for the place-based experiential travel writing – and of course, the humor – around which “Barranquilla or Bust” was centered. I’ve never been good at titles, so will you help me out? Please send me your suggestions. I have missed writing to you and for you, and look forward to retrenching with a bang-up new brand and site. Thank you for reading – and in advance for sending me your ideas. P.S. If you send a website/blog name that I use, I will give you credit and a hyperlink on the site’s home page (pending editorial control to ensure appropriate content) for the first six months, and on the “About” page for the first year! Last night I said goodbye to a dear expat friend who returned to the US after living in Barranquilla for almost two years. While I am excited for this new era in his journey, he’ll be deeply missed here in Colombia.